Balamban Liempo of Cebu was first established in a humble July 2009 in the town of Balamban in Cebu. It wasn't long before it's popularity has spread by word of mouth. 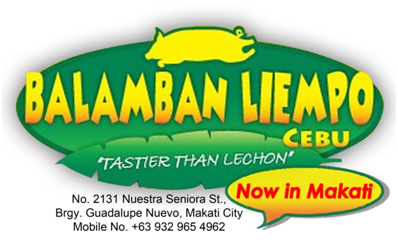 Now, Balamban Liempo of Cebu has reached Manila as it open a branch in Makati. According to the owners Jojo and Honey Vergara, this will be the first of many as they are now open for joint ventures for only 250,0000 php. Their Grilled Liempo is distinguish from the rest as it is a golden slab of marbelized pork belly filld with fresh herbs and spices from Cebu. It's very flavorful and salty just the way locals of Cebu love it. It's served chopped and ready to it. Look at how juicy their Lechon Manok is! 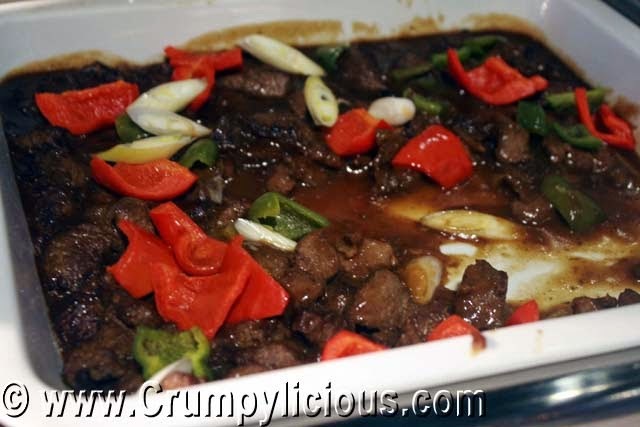 It is also filled with the same herbs and spices as the Grilled Liempo. I love life. It's an endless quest which in which I impose upon myself to give it all I can. I keep up with its rapid pace and seize every opportunity to earn and learn from it as much as I can. 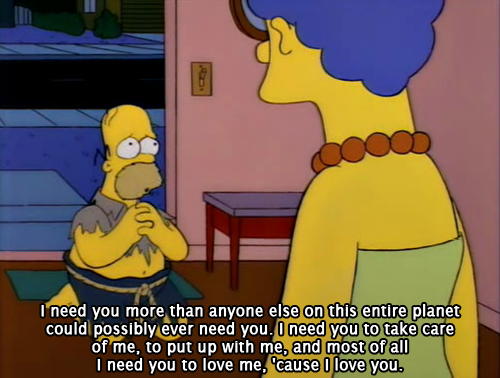 But you see, no matter how much I'd want to be invincible. There are also moments when I need to stop, recharge and pamper and put my conquest on hold. One such effective measure is going to a spa. It's actually one of my favorite activity so you can't imagine my delight when my friends invited me to pamper at Thai Royale Spa. 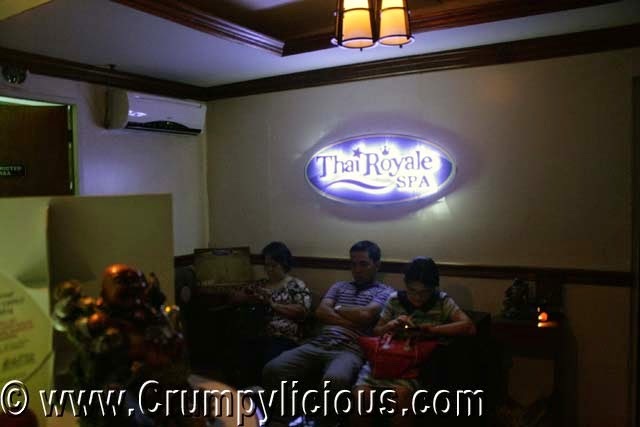 Who would have thought that a majectic hidden pampering palace like Thai Royale Spa would exist in the busy city of Mandaluyong. Don't let its tricky facade fool you. As you climb up, you'd be surprised this 24-hour familiy-oriented spa has 25 spacious rooms equipped with Thai floor beds and Swedish raised beds since body massage is its core specialty. It also has 6 cozy seats for foot massages. I was quite surprised at how affordable they are offering their services. 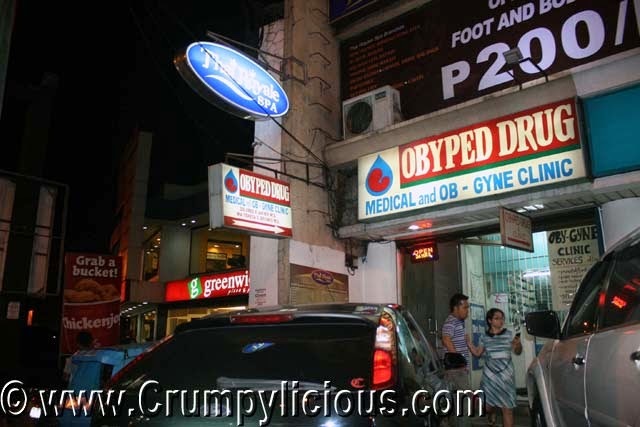 I availed the Combination Package A with 1 HR Swedish Massage and 1 HR Foot Massage for only 499 php. As soon as I signed the guest list, I was escorted by my massage therapist Mica across it's beautiful and elegant Thai influenced hallways towards the foot massage area. 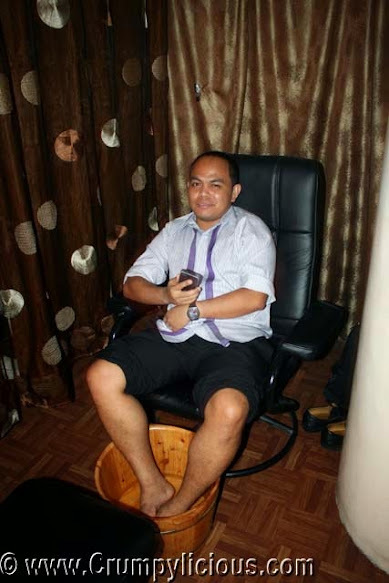 Upon being seated on the cozy leatherette seats, Mica fetch a wooden bucket of water to soak my feet. Treated like a royalty, Mica asked if I approve of the temperature before letting me plunge my feet. Soon, we were given a warm shoulder pad and warm waist pads which was really soothing. My hands had a quick massage and then a lengthy one for my feet. It was so good that none of us could resist dozing off. I was massaged from the foot up to the calf. I've had foot massages before but the use of the stick is quite new to me. I've been told that they were all DOH Certified and specially trained by a Wat PO Thailand certified specialist. After an hour, Mica led me to one of their rooms another hour of Swedish Massage. They had a safety box where you can place your valuables. Given my seemingly frail body, I actually have a body of a warrior so when I was asked whether I like to have Soft or Moderate. I politely suggested that I like it Hard to which she agreed. Mica was really good! My once hardened and rigged muscles became soft and flexible. After my session, she politely asked if I wanted hot warm tea or iced tea. It was served with a hot towel. Overall, I had an enchanting royal treatment. I loved the service and would certainly recommend my massage therapist Mica for you to try. Apart from this branch, they have 15 other branches and are currently open for franchise. You can contact the owner Ms. Kate with the details below. Thai Royal Spa is also the sister company of Suay Skin Facial Spa and Kai Cha. A big chunk of our lives is spent on working and earning for a living. Thus, work selection becomes a big ordeal for everyone. I attended company tour at the awesome TeleTech Recruitment Hub in Pioneer last week and I just want to share why it could be an option for you. They say "No Man is an Island". 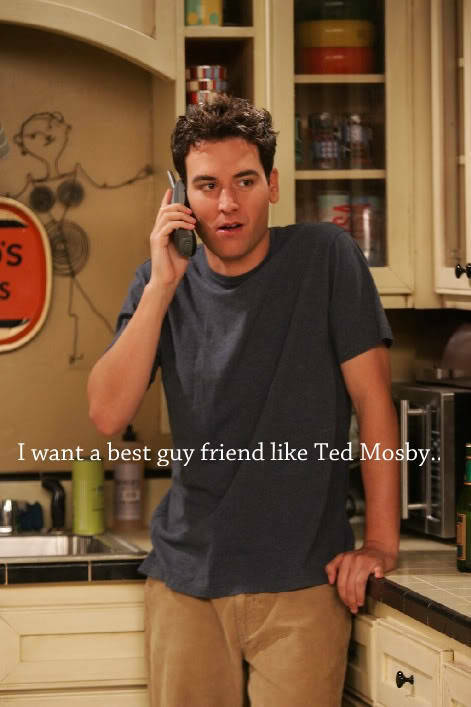 And, that is very true. We are social creatures who value relationships. Relationships need nurturing and to do that you need to spent more time with the people involved. If you're a parent, you don't want to miss essential moments in your child's life. If you're in a romantic relationship, you'd want to spend as much time with each other and maybe throw some surprises from time to time. With your clique, you'd want to be in every gathering so you won't miss the funny moments that would eventually turn our to be life-time joke among you. TeleTech has 15 sites across the Philippines, choose the one near your social circle and establish a good work-life balance for yourself. Plus, you get to save on traveling expenses and spare yourself from the stress and tension of long travels to and from work. TeleTech has an environment conducive to forming bonds. TeleTech promotes camaradere among its 25,000 ++ employees through fun events and activities such as TeleTech Awards Night, TeleTech Summer Outing, TeleTech Birthday and Anniversary Event, TeleTech Run n Sync Fun Run and more. It has an awesome facilities like their cafetria with lots of vending choices where you can surely met new friends and chill with them too. TeleTech has its own online learning and development tool called TeleTech University where you can have training and learning courses which includes the prestigious and expensive Six Sigma Program. The skills and courses you learn will pave way to your advancement. They also offer an employe performance incentive that is evaluated very month and quarter. So with roughly 18,000 job openings per year, who knows maybe the next hire is you. They accept walk-in applicants and you can get hired on the same day. Last Saturday, I was able to watch "Edge of Tomorrow" in the awesome Dolby Atmos Cinema at Promenade Greenhills. Edge of Tomorrow is a movie based on the Japanese light novel All You Need Is Kill by Hiroshi Sakurazaka. The film is directed by Doug Liman who directed some of my favorite action movies like The Bourne Identity (2002), Mr. & Mrs. Smith (2005) and Jumper (2008). 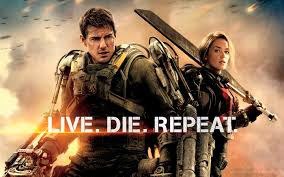 So, the great director Doug Liman in his forte genre (action mixed with sci-fri) and main casts is played by big stars Tom Cruise and Emily Blunt kept my hopes up for the movie. In terms of roles and acting, I'd the duo of Tom Cruise and Emily Blunt was exceptionally good. To watch the two over and over and all-throughout the movie was a pleasure. 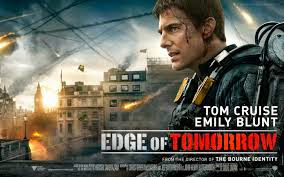 Well, no surprise from the award-winning actor Tom Cruise who plays as Major William Cage. But, it was a really different game for Emily Blunt who stars as Sergeant Rita Vrataski. I mean I loved her in feminine roles in The Adjustment Bureau (2011), Salmon Fishing in Yemen (2012) and Looper (2012). But, I must say she was stunningly cool as she played the role of a warrior and Angel of Verdun in this movie. The movie was jump-pack with action save for the boring introduction. The twists and turns were planned well so you'll have the thrill of the suspense till the last scene. And, the movie was almost 2 hours long so it's really worth every cent. I feel the Dolby Atmos Cinema which offered a 360 revolutionary sound system exemplified our movie experience. 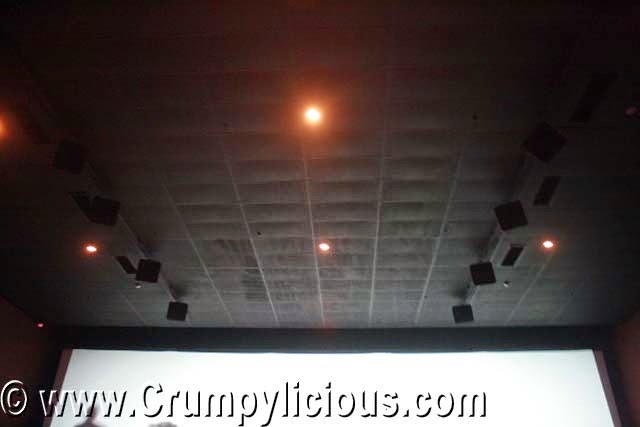 It's awesome that a Dolby Atmos Cinema has speakers set up on the left, right and above you. We could hear the planes hover from left to right or be surprised by the gun fire sounds scattered all over the place or the sound of crashing bursting from above us. Plot-wise the movie is different in terms of concepts and ending from the book. So you can't compare the two together as they are stand-alone. I've seen a lot of time loop movies before like Terminator (1984), Groundhog Day (1993), 12 Monkeys (1995), The Butterfly Effect (2004), Looper (2012) and About Time (2013). Unlike the rest, this had a really solid basis to support it. The ending was really too happy for me but it is possible. With his powers, he decided to return on an earlier time (I'm assuming a day earlier) than his previous reset point to his advantage. Overall, this is a must-watch movie! Not sure if watching it in 3D is worth it though. 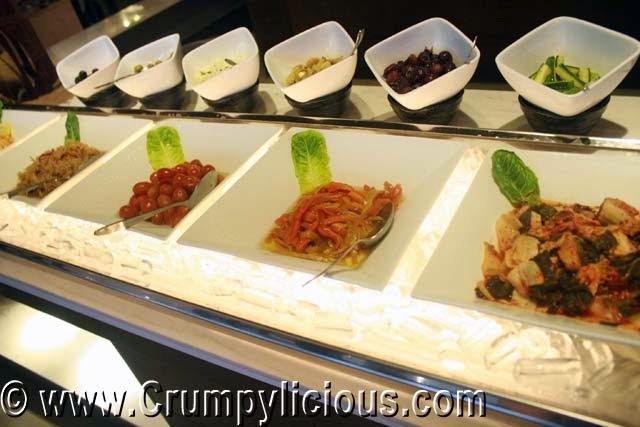 There's a new buffet in town and this time, it's not about quantity but quality. 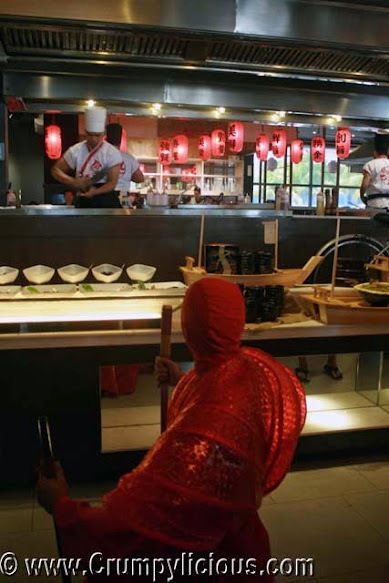 Yes, Banzai The Great Teppanyaki Theatre opens in SM MOA San Miguel by the Bay just beside Buffet 101 to offer its quality authentic Japanese dishes and more. By more, it has a Teppanyaki Show that showcase their skillfulness by juggling eggs, knife and other utensils, Japanese Dancers surround the stage and there's a Trick Art Gallery where you can wear Ninja, Naruto, Sumo wrestler and kimono costumes with their fun and playful painted wall backgrounds so there's no other restaurant like it. 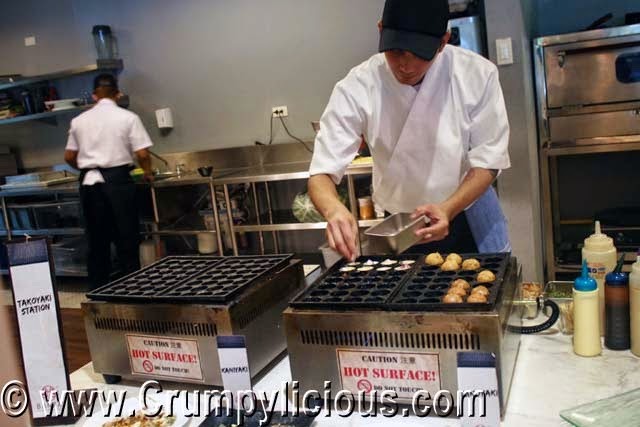 It's a real bold move by Marvin Agustin and partner Ricky Laudico to open a large-scale Japanese buffet restaurant like this but I bet their experience in the Japanese restaurant industry has rendered them the most suitable for this kind venture. 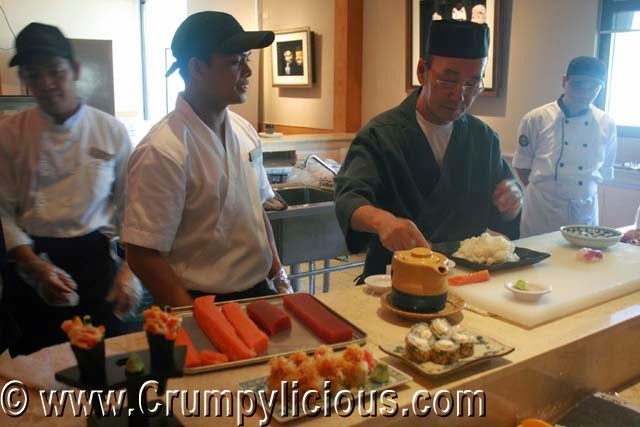 It offers a wide range of fresh sashimi and sushi selection prepared by their Japanese chef. I recommend you to try their fresh Salmon Sashimi and Banzai Maki. For extra carbs, they have a pastry section. 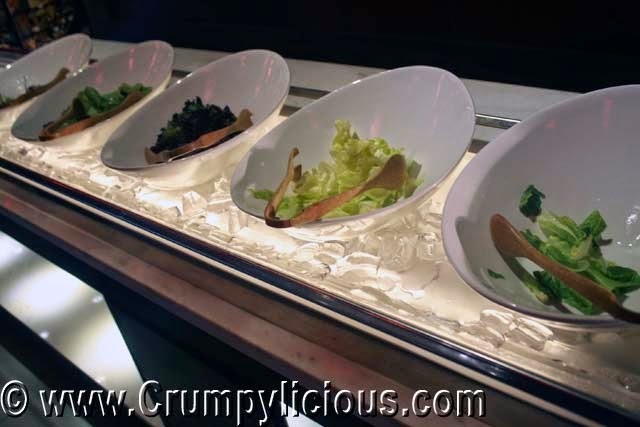 There are lots of Japanese Salads available. I suggest the Wakame Salad and Spicy Tuna Salad. There are some simple but healthy ones if that's what you prefer. You can even make your own salad. If you want Cold Soba, they have that. 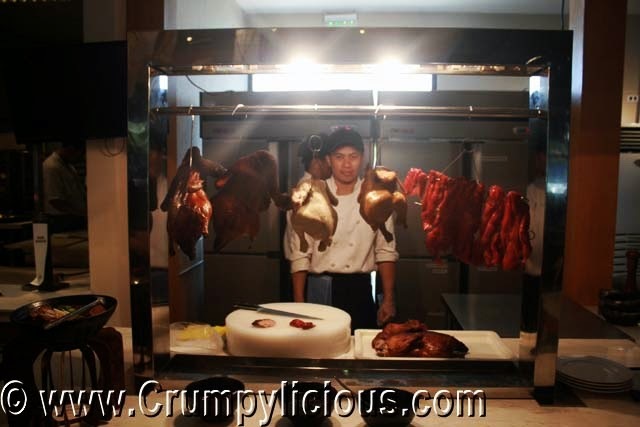 The Cold Cuts Station isn't really Japanese but be glad it's there so you can devour the Peking Duck! So here's what I got for starters. Everything is good in this plate. 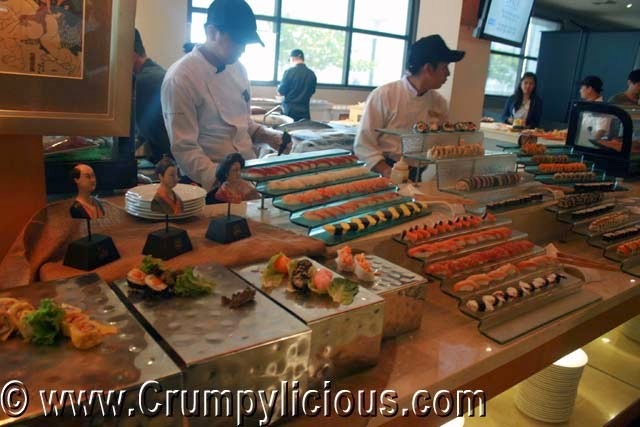 They're the only buffet I've seen with a Takoyaki Station. It's good to try but don't expect it to be extraordinary. The Japanese pizza are thin-crust and crunchy so if you love pizza, give it a go. The Gyozas are very good! Try the Chicken or Beef Gyoza for a change. For Yakitori, the Chicken Teriyaki is a must try! All your classic yaki favorites are there too. They also offer the basic ramens: Shio, Shoyu, Miso and Tantanmen. According to their Japanese ramen chef, Miso and Tantamen are his specialty. My Miso Ramen broth and ingredient variety does not disappoint. The noodles are ordinary though. 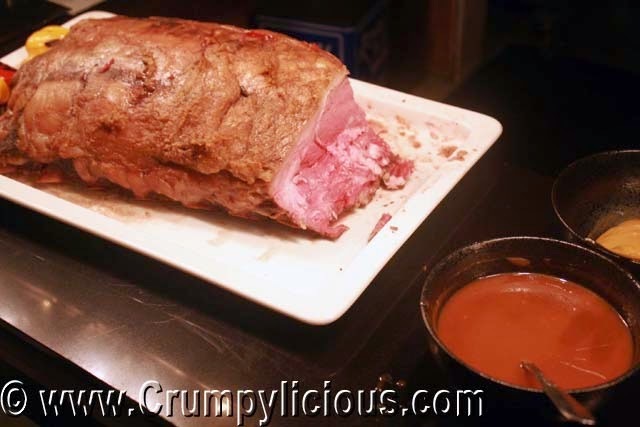 This is the best roast beef I've ever encountered! Insist to have a thick slice of this and have it cooked medium to fully appreciate this. 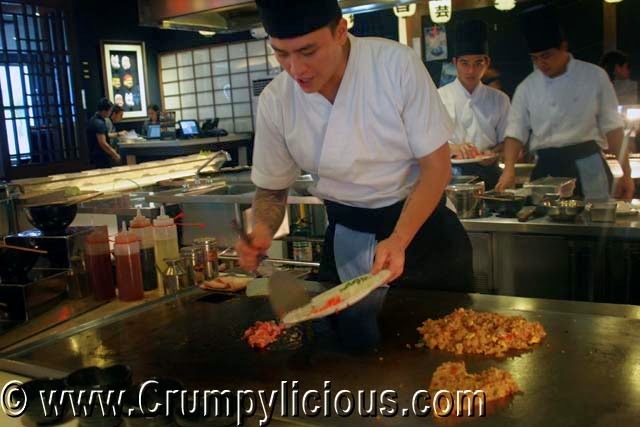 They have a wide variety for Teppanyaki so choose wisely (by worth or preference hehe)! They have Okonomiyaki there too. The Salmon and Oysters are my favorite. Don't forget to try them with the sauces if you find them bland. The Beef Misono is so tender and tasty! Try that too. 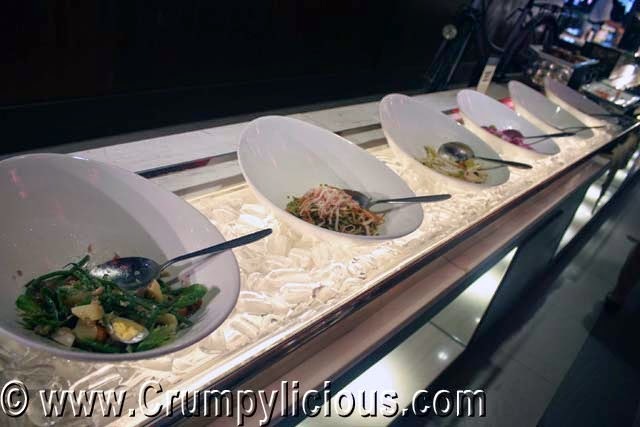 There are also lots of other cooked dishes like Steamed Lapu-Lapu. There are a lot of dessert choice but my picks are the Mango Mousse and Creme Brulee. The Avocado Mousse was already bittterish. Snow cones are perfect for the summer! The rates are inclusive of drinks which includes Iced Tea, Red Tea, Blue Lemonade and Milo. There's a hot Nescafe machine too.